Visibility and sight distance are parameters central to the inherent safety of intersections, driveways, and other potential conflict points. 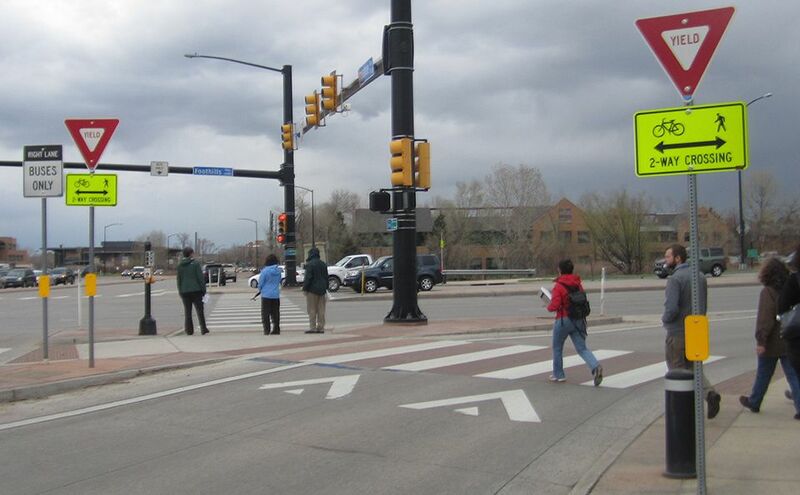 Intersection design should facilitate eye contact between street users, ensuring that motorists, bicyclists, pedestrians, and transit vehicles intuitively read intersections as shared spaces. 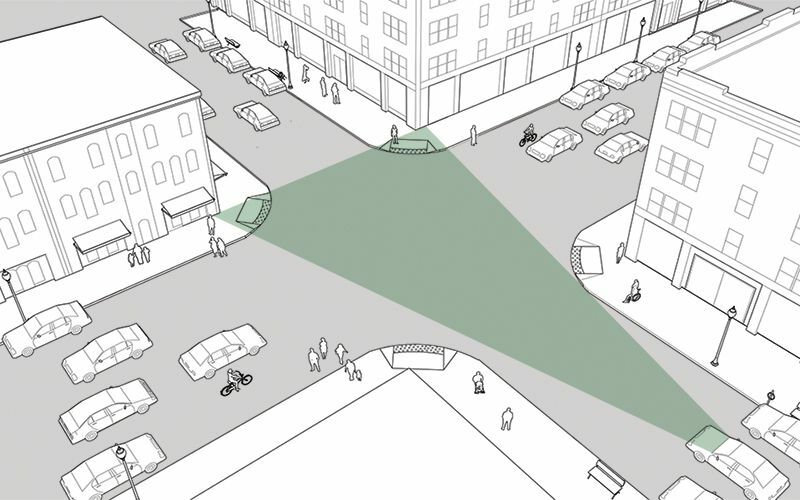 Visibility can be achieved through a variety of design strategies, including intersection “daylighting,” design for low-speed intersection approaches, and the addition of traffic controls that remove trees or amenities that impede standard approach, departure, and height sight distances. Sight line standards for intersections should be determined using target speeds, rather than 85th-percentile design speeds. 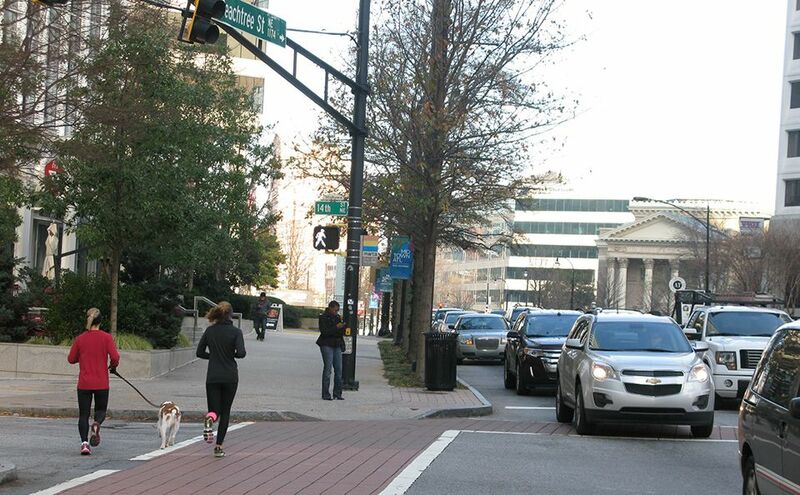 This prevents wide setbacks and designs that increase speeds and endanger pedestrians. In determining the sight distance triangle for a given intersection, use the target speed, rather than the design speed, for that intersection. 3 Fixed objects, such as trees, buildings, signs, and street furniture, deemed to inhibit the visibility of a given intersection and create safety concerns, should not be removed without the prior consideration of alternative safety­ mitigation measures, including a reduction in traffic speeds, an increase in visibility through curb extensions or geometric design, or the addition of supplementary warning signs. Traffic control devices must be unob­structed in the intersection and shall be free of tree cover or visual clutter. Visibility is impacted by the design and operating speed of a roadway. Determining sightlines based on existing or 85th­-percentile speeds is not sufficient in all cases. Designers need to proactively lower speeds near conflict points to ensure that sightlines are adequate and move­ ments predictable, rather than widening the intersection or removing sightline obstacles. 1 In urban areas, corners frequently act as a gathering place for people and businesses, as well as the locations of bus stops, bicycle parking, and other elements. Design should facilitate eye contact between these users, rather than focus on the creation of clear sightlines for moving traffic only. 2 Wide corners with large sight triangles may create visibility, but in turn may cause cars to speed through the intersection, losing the peripheral vision they might have retained at a slower and more cautious speed. In certain circumstances, an object in the roadway or on the sidewalk may be deemed to obstruct sightlines for vehicles in a given intersection and to pose a critical safety hazard. Removal of the object in question is a worst­ case scenario based on significant crash risk and crash history. Many objects, such as buildings, terrain features, trees in historic districts, and other more permanent parts of the landscape should be highlighted using warning signage and other features, rather than removed. Additional signage may be provided to enhance visibility at a given intersection, but should not replace geometric design strategies that increase visibility. Site street trees at a 5­-foot minimum from the intersection, aligning the street tree on the near side of the intersection with the adjacent building corner. Street trees should be sited 3 feet from the curb return and 5 feet from the nearest stop sign. Vehicle codes state that drivers must yield to drivers on the right, which necessitates slowing down. 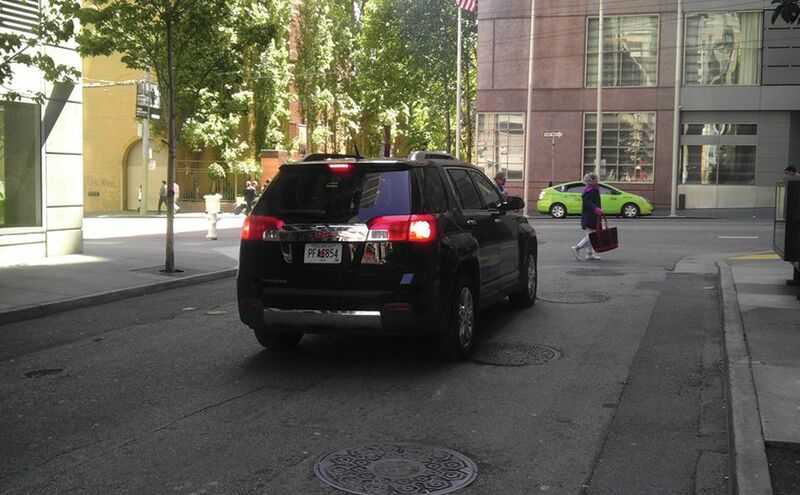 City of Portland, Oregon, “Uncontrolled Intersections and You,” accessed June 3, 2013. Parking is typically restricted within 10–25 feet of a crosswalk. San Francisco uses 10 feet; New Jersey adopted 25 feet within a marked or unmarked crosswalk. New Jersey, New Jersey statutes annotated: Title 39:4 Motor vehicles and traffic regulation. FHWA Safety Program, “Remove/Restrict Parking,” accessed June 3, 2013. 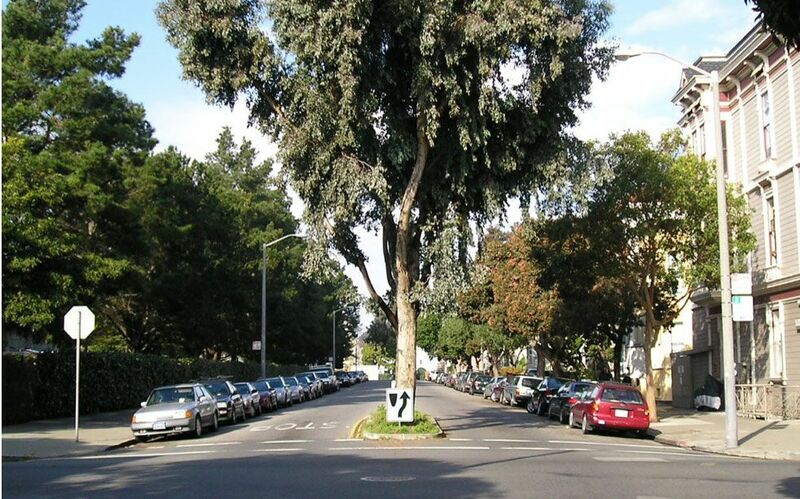 San Francisco standards allow trees 25 feet from the near-side and 5 feet from the far-side curbs. “Guidelines for Planting Street Trees,” San Francisco Department of Public Works, accessed June 3, 2013. Elizabeth Macdonald, Alethea Harper, Jeff Williams, and Jason A. Hayter, Street trees and Intersection Safety, (Berkley: Institute of Urban and Regional Development, University of California at Berkeley, 2006). Pedestrian scale lighting may be added to existing vehicle poles or between poles. Complete Streets Complete Networks—A Manual for the Design of Active Transportation (Chicago: Active Transportation Policy, 2012). 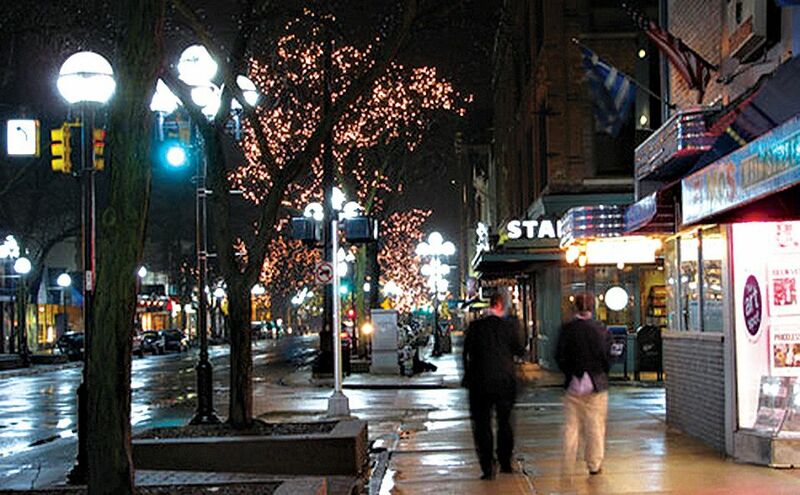 Spacing depends upon existing lighting available, roadway width, and quality of lighting, but in general lighting every 50 feet provides a secure nighttime walking atmosphere. Project for Public Spaces, “Lighting Use & Design,” accessed June 3, 2013. Active Transportation Policy. 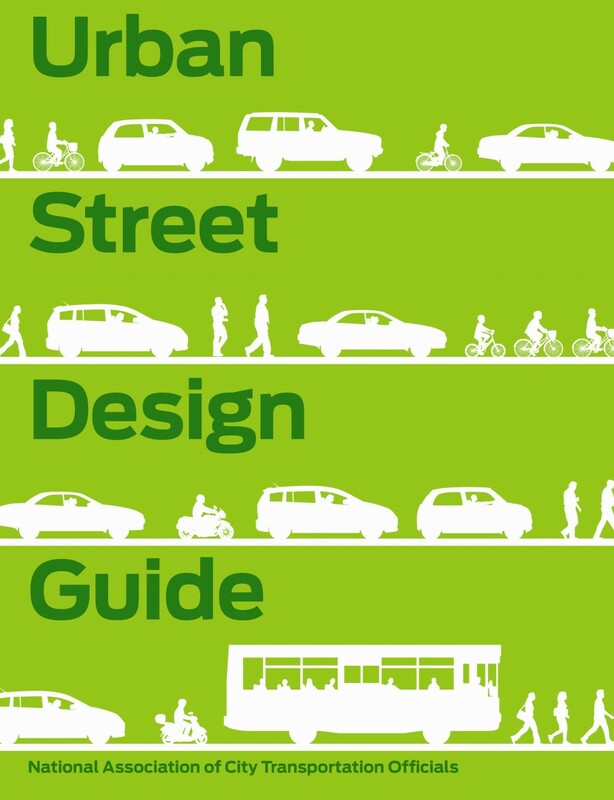 Complete Streets Complete Networks – A Manual for the Design of Active Transportation. Chicago: 2012. Antonucci, Nicholas D., Kelly Kennedy Hardy, Kevin L. Slack, Ronald Pfefer, and Timothy R. Neuman. “Guidance for Implementation of the AASHTO Strategic Highway Safety Plan: Volume 12: A Guide for Reducing Collisions at Signalized IntersectionsM.” Transportation Research Board NCHRP Report 500 (2004): (12), 1-133. “Chapter 4: Sight Distance.” Center for Transportation Research and Education, Iowa State University Institute for Transportation, 2001. Federal Highway Administration. “Remove/Restrict Parking.” Federal Highway Safety Program: Counter Measures, 2009. Macdonald, Elizabeth, Alethea Harper, Jeff Williams, and Jason A. Hayter. 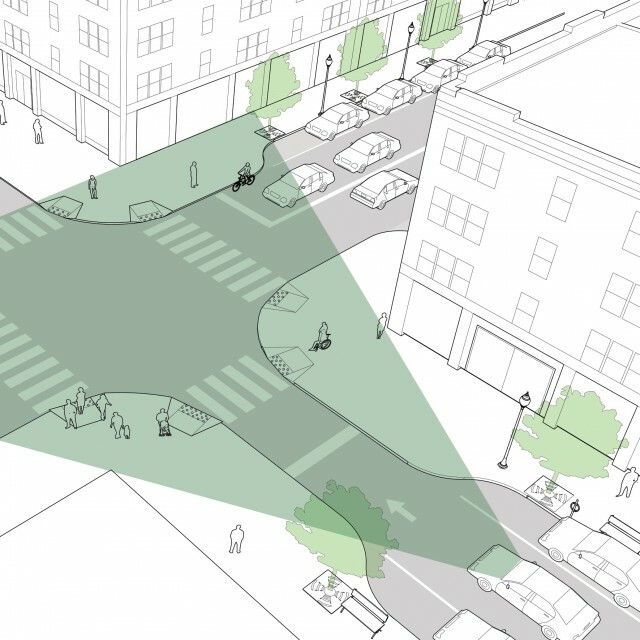 "Street Trees and Intersection Safety." Berkeley: Department of City and Regional Planning, University of California, Berkeley, 2006. Portland Bureau of Transportation. “Uncontrolled Intersections and You.” Portland: 2010. Project for Public Spaces. “Lighting Use and Design.” Accessed June 3, 2013. San Francisco Department of Public Works. Guidelines for Planting Street Trees. San Francisco: 2009. State of New Jersey. “Motor Vehicles and Traffic Regulation.” New Jersey Statutes Annotated: Title 39. New Jersey: 2003. References for Visibility/Sight Distance: 9 found. Halupka, Paul, Lippens, Paul, Persky, Dan, & Woodall, Amanda. "Complete Streets Complete Networks: A Manual for the Design of Active Transportation." Active Transportation Alliance, Active Transportation Alliance, Chicago, IL. Smith, Duane. "Handbook of Simplified Practice for Traffic Studies, Ch. 4: Sight Distance." Center for Transportation Research and Education, Iowa State University, Ames, IA. Project for Public Spaces. "Lighting Use and Design." Project for Public Spaces, Project for Public Spaces, New York, NY. Kennedy Hardy, Kelly, Slack, Kevin L., Pfefer, Ronald and Neuman, Timothy R.. "Guidance for Implementation of the AASHTO Strategic Highway Safety Plan, Volume 12: A Guide for Reducing Collisions at Signalized Intersections." National Cooperative Highway Research Program, Transportation Research Board, Washington, DC. State of New Jersey. "Motor Vehicles and Traffic Regulation." New Jersey Statutes Annotated: Title 39, State of New Jersey, Newark, NJ. Federal Highway Administration. 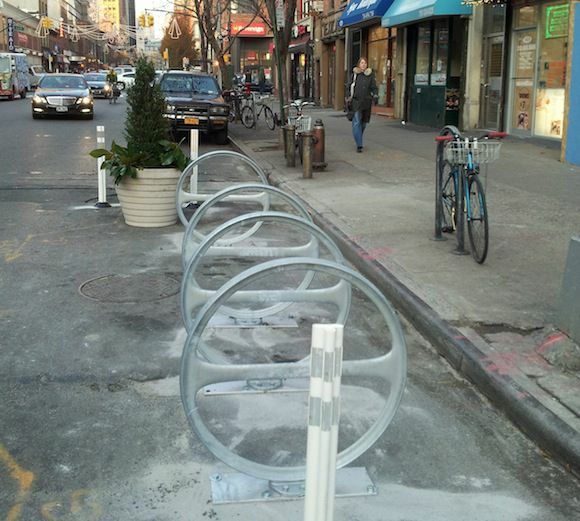 "Pedestrian Safer Journey, Safety Improvement Countermeasures: Remove/Restrict Parking." Pedestrian and Bicycle Safety Section, Federal Highway Administration, Washington, DC. MacDonald, Elizabeth, Alethea Harper, Jeff Williams, & Jason A Hayter. "Street Trees and Intersection Safety." Department of City and Regional Planning, University of California, Berkeley, CA. Portland Bureau of Transportation. "Uncontrolled Intersections and You." Bureau of Transportation, City of Portland, Portland, OR.